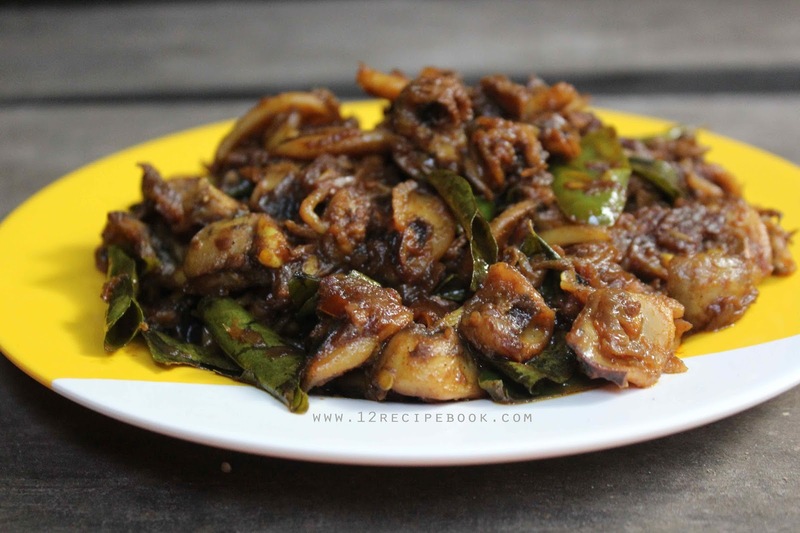 Kerala style squid (koonthal / kanava) roast is an easy and delicious dry roast preparation. All the seafood lovers must try this simple recipe and it's a great combo with steamed rice, paratha or roti. Soak tamarind in 1/4 cup of hot water; extract the juice and keep it aside. Heat a pan with oil. add sliced onions and saute until nice golden in color. Add chopped ginger, garlic and green chilly; saute a minute. Add turmeric powder, coriander powder, chilly powder and garam masala; mix well. Add cleaned squid, salt and curry leaves; mix well. Cover the lid and cook for about 6-8 minutes until the squids are cooked nicely. Open it and cook for another few minutes until the gravy get's dried and nicely coated with the squid. 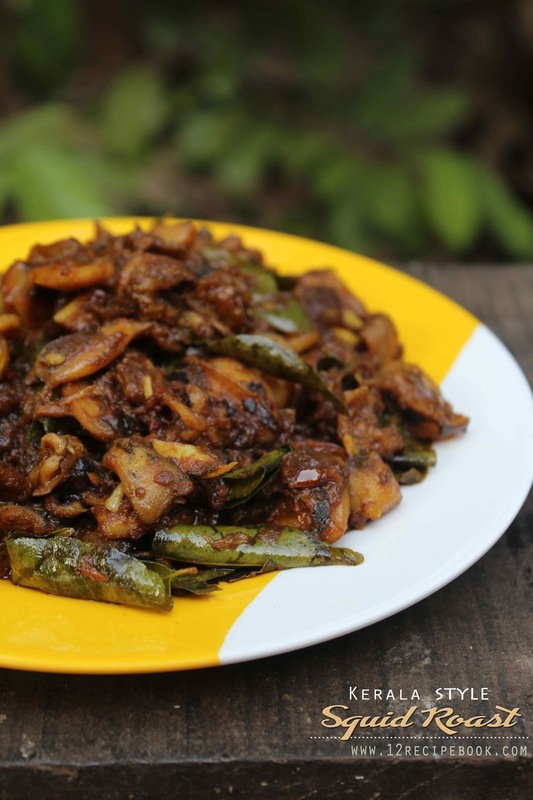 Serve in side with steamed rice, paratha or roti.